SFFMA is now accepting nominations for FFOY and EMS of the Year. Nominations are made through a district. SFFMA has had a long-standing history of partnering with the Texas A&M Engineering Extension Service - Emergency Services Training Institute in creating and maintaining the highest level of professional education of the fire service of Texas. 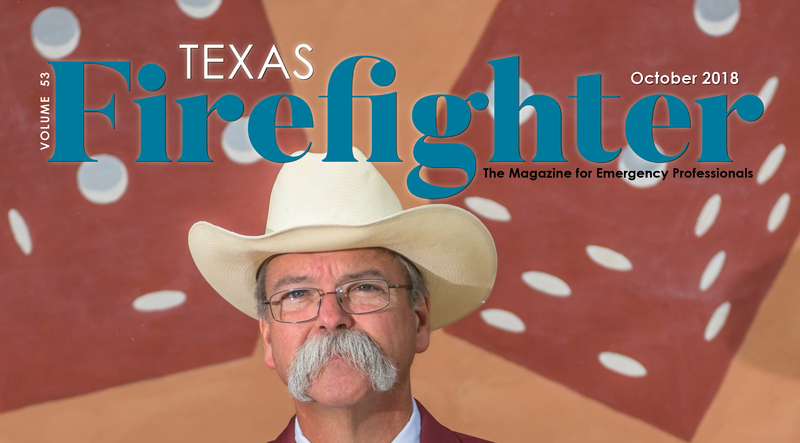 2018 Texas Firefighter Magazine now available. Organized in 1876, SFFMA is Texas’ oldest and largest fire association serving the fire and emergency service responders of Texas and beyond. SFFMA has the support of over 1,200 fire departments, 22,000 individual members, 80 industrial fire brigades, EMS and international departments. The association is extremely active in legislative efforts that affect the fire service in Texas, and has been successful in getting legislation passed which greatly affects the Texas emergency service responders.